There’s been all manner of media and layperson analysis of just what Donald Trump’s appeal is (though we could all save ourselves some trouble and just accept that bigotry exists). 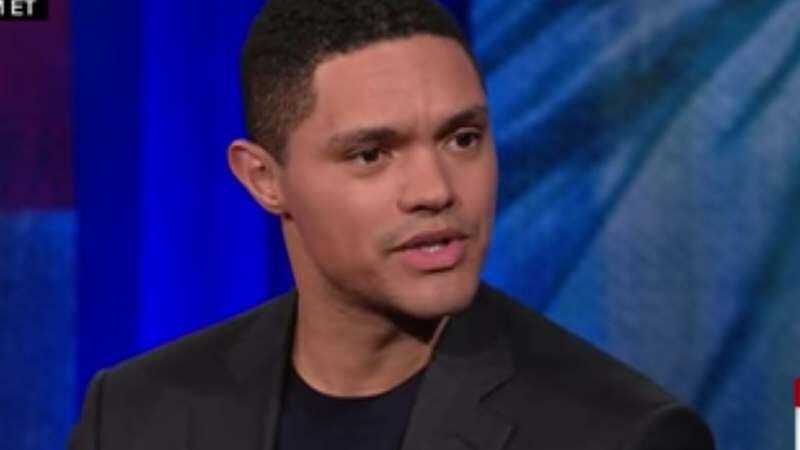 For the latest installment of The Messy Truth, Van Jones invited Daily Show host Trevor Noah to discuss the president’s ability to connect with some of (but not quite half of the voting) American citizenry. Jones caught a lot of flak for praising Trump as being “presidential” after he singled out a military widow, never mind that he made an uninformed decision in ordering the Yemen raid that resulted in the death of Navy SEAL William Owens. But what struck Noah about the whole thing was how well Trump played to the crowd; he was even able to make a joke in that moment. That’s when Noah realized that Trump was doing a bit, one that the audience ate up. “When I see Trump, I see a standup comedian. He connects with audiences in the same way. He knows how to make you laugh in a moment when you didn’t think you would. He knows how to broach a topic in a way that no one normally can,” Noah said as Jones nodded along. Okay, but it’s just too bad that his routine more often than not results in stripping marginalized groups of their civil rights. Why couldn’t he stick to observational humor, like, what’s the deal with the National Mall not having a Cinnabon or Sbarro’s?